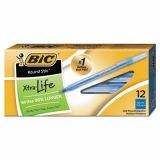 BIC Round Stic Xtra Precision Stick Ballpoint Pen, .8mm, Blue Ink, Tran Blue Brl, DZ - Offices and homes worldwide still enjoy the classic Bic Stic pen, a model for ballpoint pens everywhere. The Bic Round Stic ballpoint pen features a round lightweight barrel and a cap ventilated for safety and ink consistency. The pen's brass point uses a ball made of tungsten carbide to ensure smooth writing every time. 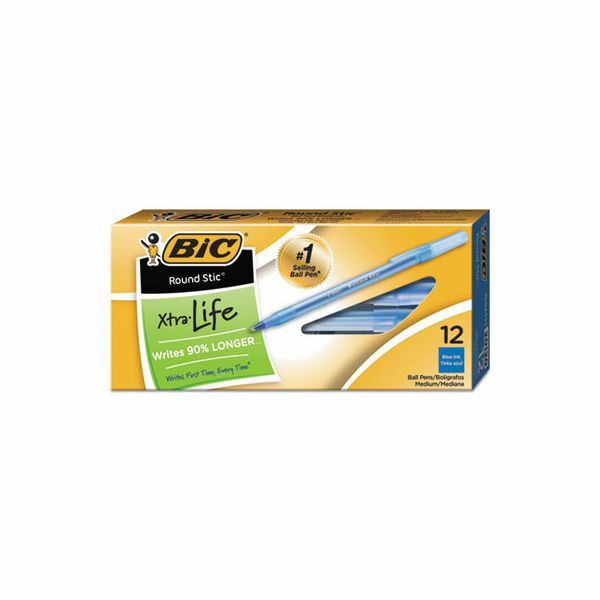 While other stick ballpoints fail easily, the Bic Stic is designed to last long and remain dependable. They are the economical choice for performance and reliability. These stick pens are perfect for business and personal needs. Box of 12. Nonrefillable.